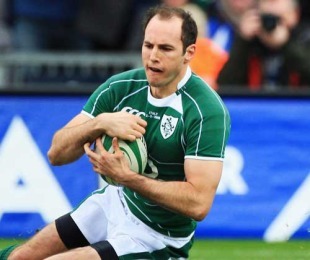 Ireland face Russia for only the second time in international rugby in Rotorua on Sunday. In the only previous clash between the nations, Ireland ran out comfortable 35-3 victors in Krasnoyarsk in 2002 with Girvan Dempsey scoring two tries and Malcolm O'Kelly and Keith Wood also touching down. Russia boast a 54.03% win record with 118 wins since their first international fixture in 1974 against Romania. However they have yet to claim a victory at the Rugby World Cup after making their debut in the tournament with a defeat to the United States in New Plymouth on Thursday.